Last week, the increasingly popular traffic and navigation app, Waze, launched a redesign that brought a deeper level of social integration to its user experience. Along with redesigned maps and a new interface, the startup added Facebook single sign-on and features that allow users to share their drives, pickups and meetup spots, communicate their status from the road and check-in at a destination without leaving the app. Following on the heels of its social integration, Waze is now turning its attention to monetization as part of an attempt to breathe new life into mobile advertising. Today, the company is rolling out a new product called Waze Ads, a location-guided ad platform for local business owners and big brands that want to attract the attention of nearby drivers. Waze Communications Director Michal Habdank-Kolaczkowski tells us that the new product seeks to capitalize on the fact that consumers have begun to adapt to mobile advertising. Of course, given the limited screen space, ads on phones and tablets can be intrusive, so brands have been on a mission to find smarter ways to make those ads more effective (and less obnoxious). Waze believes that the key to this is both frequency and the ability to target advertising to those actively demonstrating intent. In other words, Waze wants to leverage an increasingly large and engaged user base, which has now grown to 30+ million, with the average user spending 440 minutes in the app each month. The company wants to reach those users through location-guided advertising to allow businesses to send messages and produce ads that reach those people who are already en route and searching, say, for local restaurants. 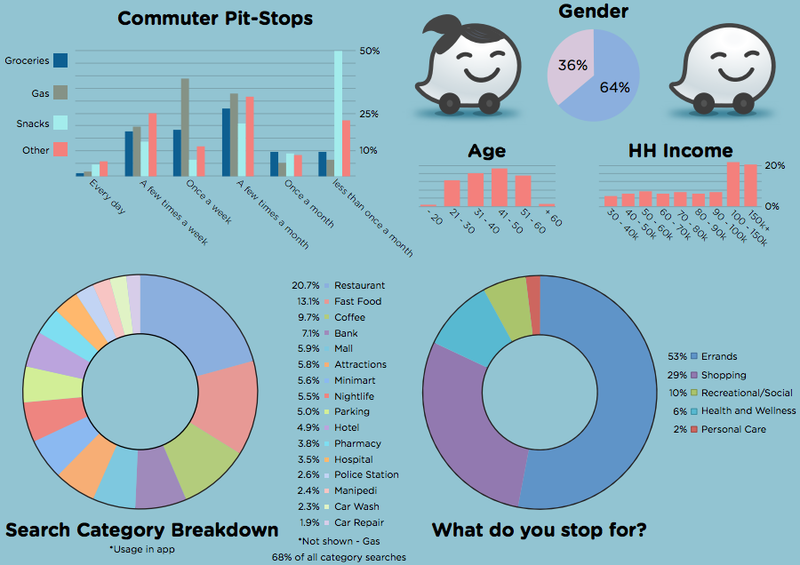 Habdank-Kolaczkowski says that, in polling users, the company found that 20 percent of its users search for restaurants, 15 percent for fast food, 10 percent for coffee shops — and that over 50 percent make pit stops during drives, running errands, shopping, etc. So, Waze wants businesses to be able to tap into these users, boost their brand awareness and bring in some new customers. At launch, the company is working with partners that include Dunkin’ Donuts, Kum & Go, Wyndham Hotels, Jamba Juice and P&G, offering these brands (as well as small businesses) access to a self-serve platform where they can set, change and measure their mobile advertising campaigns. Additionally, the platform offers location-aware tools including local search advertising, advanced targeting (like the time of day, for example) as well as loyalty programs. 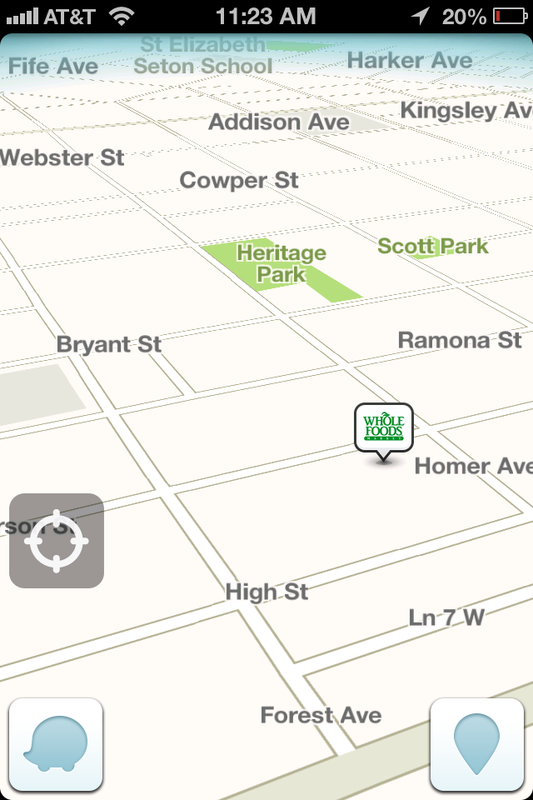 These tools also allow brands to add their locations to Waze’s map and create offers tied to those locations. To celebrate the launch of Waze Ads, the company is offering advertisers, brands and vendors a $50 credit to test out the new platform. The trial vouchers are available throughout November. For more info, check it out here.